Choosing the right partner for your business is important, and we’re just as diligent in choosing the right clients for us. This page will give you a flavour of what makes Copier Mate special compared to other photocopier providers. Toshiba are a multi-disciplined organisaton, creating everything from components for nuclear power plants, through to healthcare products, through to beautiful photocopiers, used across the globe. They have a wealth of experience in providing products and services for all size and sectors of businesses, and employ some of the most innovative and forward-thinking staff. 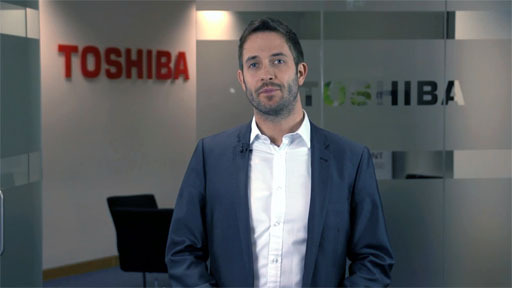 Copier Mate’s great relationship with Toshiba holds a whole host of benefits for our clients. In teaming up with Toshiba, we’re able to give the personal, caring service of a small business, whilst boasting the reliability and service-levels of a multi-national. You can read a little more about our relationship with Toshiba, and the significance it has at the following page: Toshiba service. Thinking about going paperless? Most photocopier providers cringe at the thought; we love it. Aside from the environmental benefits, manually handling invoices, receipts, time sheets, and other common paperwork takes up more time, money, and energy than it needs to. Those are the reasons why we work with clients to help automate as many processes as possible, removing the paperwork, and the headaches, for good. You can read a little more about some of the software packages we currently provide: software solutions. In using our detailed analysis process, we’re able to spot and present-back areas for your business to save on time, money, and reduce waste in your printing and document management/workflow. Sometimes, even slight improvements in efficiency can give thousands of pounds back to your bottom line, so we leave no stone unturned. Appreciating that every customer is different, we’ll only advise on the products and solutions that really suit your business. Nothing is off the shelf, which is exactly why we want to get to know your company in greater detail. You can see an outline of the process we follow with prospective customers here: our process. Not happy with your current photocopiers or provider? We’ll be glad to help you quietly review your options, and will advise or even mediate an amicable exit. Even if you have half of the contract period to go, we may still be able to release you from the agreement early. Give the office a call, and one of the team will be happy to help. Wondering if you can get out of your existing photocopier contract early? Check out this video. Teaming up with Toshiba means we can offer service to customers across the whole of the UK. Their network of engineers allows us to stick to stringent 4 hour on-site service level agreements, whether you’re in Northern Ireland, Scotland, England, or Wales. This makes us an ideal partner for multi-sited organisations.